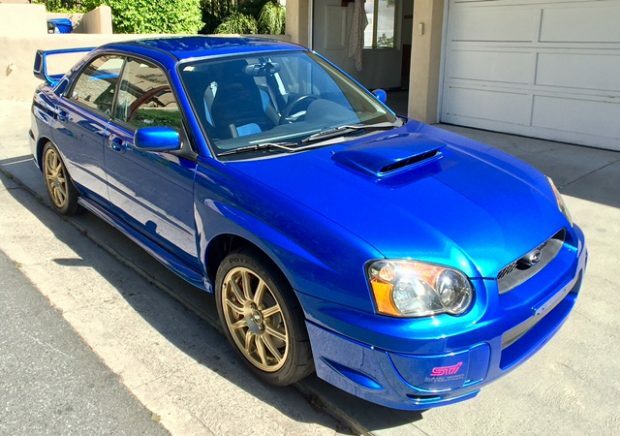 The blob-eye generation Subaru Impreza WRX STi was a special one in the United States. 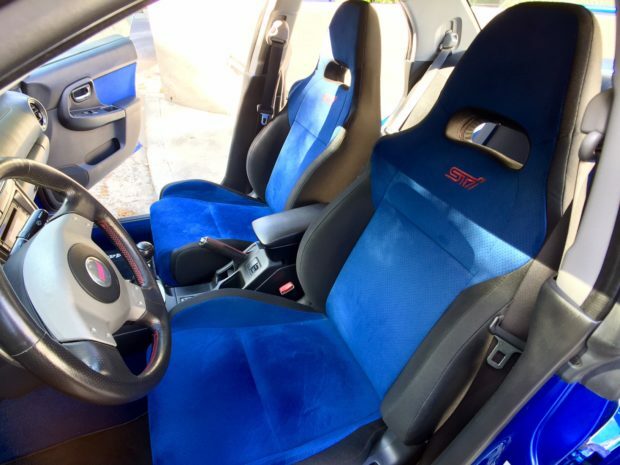 It was the spiritual successor to the 22B Impreza STi that Colin McRae made famous through WRC heroism, and enthusiasts have treasured it since its release. They can be found throughout Craigslist with most examples either having traveled half way to the Sun or being modified within an inch of their collector's value, but this one is different. It seems to have been owned by a dedicated enthusiast, and with only 6,380 miles on the odometer, it's in pristine shape. You can find the Bring a Trailer ad here. It's even in the right color. 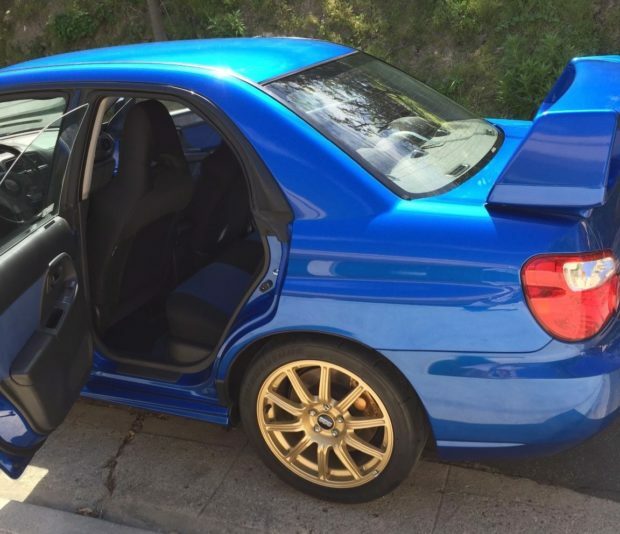 This STi's World Rally Blue paint pairs perfectly with the golden BBS wheels, harkening back its glory days of racing. The Brembo brakes are also painted gold to match, completing the clean aesthetic package of the low-mile JDM star. The interior is as you'd expect from a car that's only traveled far enough for one oil change. A similar theme carries onto the cabin with black cloth seats and blue suede inlays, a particularly stellar combo. Every piece of trim is in tip-top shape including the steering wheel and gear lever, thanks to their lack of use. As for the engine, the 2.5L Boxer is as clean as it was when it left the factory floor. It produced 300 horsepower and nearly equal torque when it was released in America, so it had plenty of oomph -- especially for the era. One trick feature of the flat-four was variable valve timing, a technology that was relatively rare during the time. All wheel drive was standard, of course, with a driver-controlled center differential and limited slip units at the front and back. The car has only had one owner since new and was registered as a commercial vehicle in the state of Michigan. 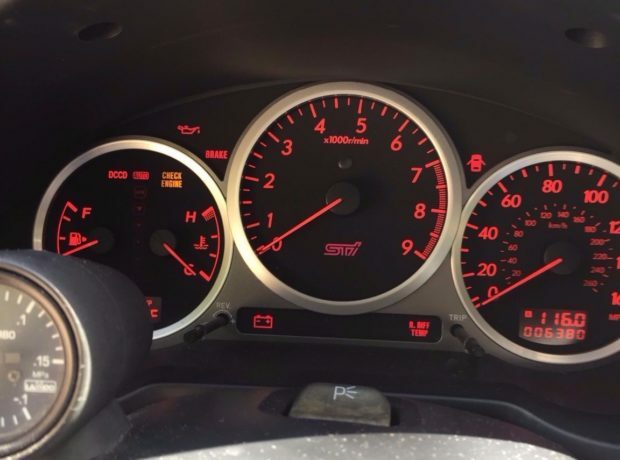 It comes with a full CarFax report and service history including documentation of rust and corrosion repair, a surprising maintenance for such a low-mile car. Bidding ends on April 17th, so make sure to stop into Bring a Trailer to check out as the auction status changes.